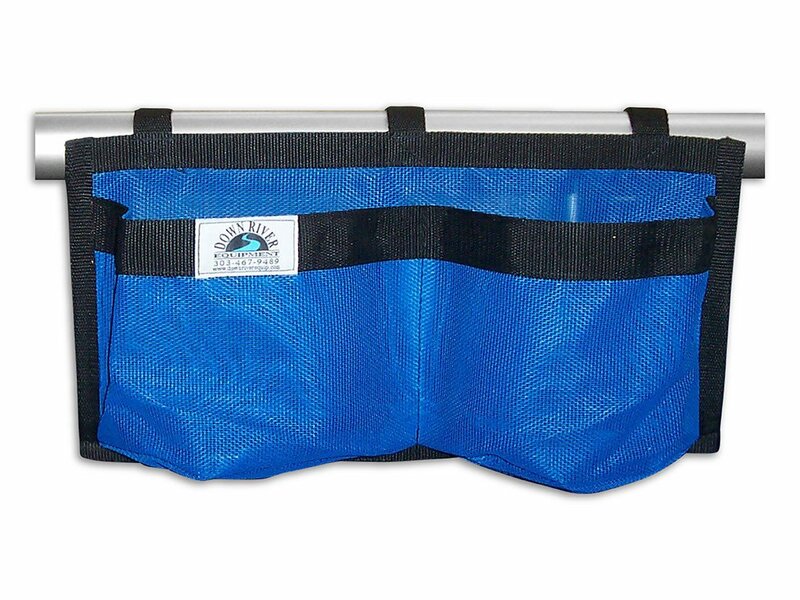 The Down River Cup Holders-Double easily attaches to your frame with Velcro hook and loop straps, providing a convenient spot to store beverages, snacks, sunscreen and all the other small items that tend to get buried in your boat. Roomy enough for a wide mouth water-bottle, you and your passengers will appreciate the convenience of these Cup Holders. Down River always strives to Go Green. We maximize material use by intagrating all of our meshes and webbing into the production of our smaller sewn goods. As a result, the Down River Cup Holders-Double comes in various colors. Give us a call if you would like to inquire about in-stock colors.